I am delighted to join you today on this most welcome occasion - the inauguration of the Indonesian Chamber of Commerce in Hong Kong. And for good reason. This is yet another milestone in the long-rewarding relations between our two economies. Our two peoples. It was just last year that Hong Kong established an Economic and Trade Office (ETO) in Jakarta. 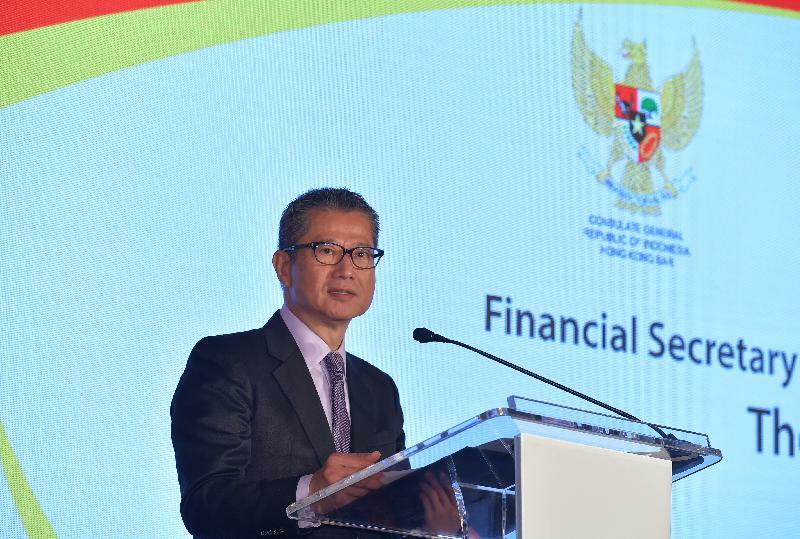 In July this year I had the great pleasure of visiting Indonesia – both in celebration of the 20th anniversary of the establishment of the Hong Kong Special Administrative Region and in honour of the formal opening of the Jakarta ETO. In June, our two economies signed an agreement on the automatic exchange of financial account information for tax purposes. And just last month, as mentioned by the Minister and the Consul-General, Hong Kong and the 10 member states of ASEAN, of which Indonesia is the founding member, formally signed a free trade agreement (FTA). The FTA is both ambitious and comprehensive in scope. It is designed to boost trade and investment between Hong Kong and ASEAN, our second-largest trading partner in merchandise trade. As for Indonesia, our bilateral trade totalled nearly US$5 billion. And I am confident that it will expand, and considerably, in the coming years. Thanks to the ASEAN-Hong Kong FTA. 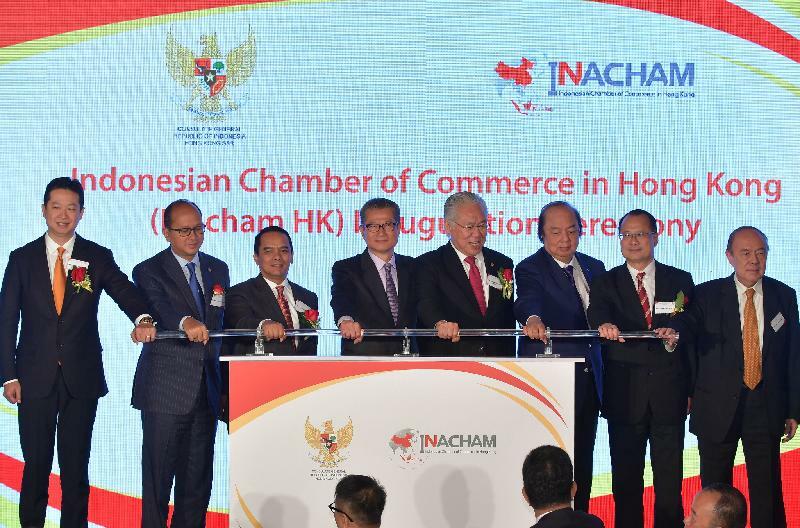 Thanks, too, to the establishment of the Indonesian Chamber of Commerce in Hong Kong. Your chamber will become a critical source of trade and commercial intelligence and networking, serving the Indonesian business community as it pursues opportunities here in Hong Kong or, through Hong Kong, targets the vast Chinese Mainland market. To be sure, that includes the far-reaching opportunities presented by the Mainland's visionary Belt and Road Initiative and the Guangdong-Hong Kong-Macao Bay Area development. Whatever the opportunity, I look forward to working with you and to helping Hong Kong and Indonesian businesses flourish together. I wish the Indonesian Chamber of Commerce in Hong Kong every success in the years ahead.